One of my favourite things about Europe has to be its diversity. 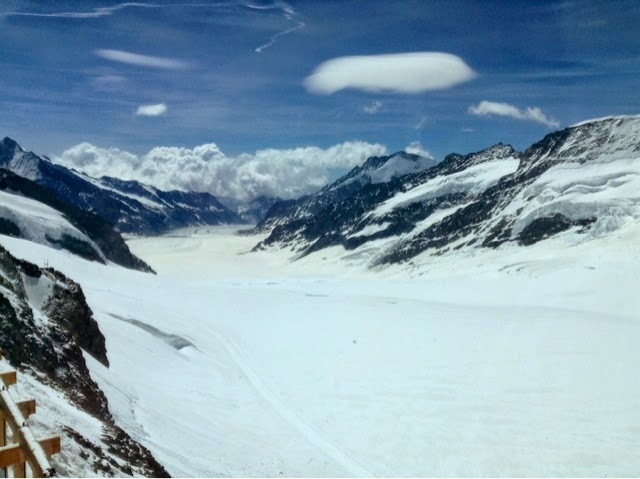 Last week we were sunbathing in Italy - today we were playing in the snow atop a mountain in the Swiss Alps. 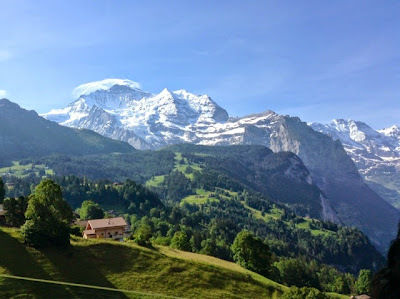 After breakfast we took the train to the top of Jungfrau, the highest railway station in Europe. The journey up has some spectacular views over the valley below and the mountain itself. There's heaps to do at the top of the mountain, and we spent the best part of the day up there. We went up to the viewing platform to get photos and some people ventured out to the plateau in fierce winds and slippery ice - I gave that one a miss! 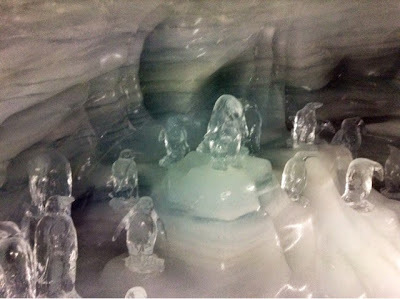 We also walked through the ice palace, which was amazing. There's lots of narrow passages to explore and detailed sculptures of snowy wildlife. Later on we ventured outside to the snow park, which was a blast. We opted to do sledging and tubing, but there was also skiing and snowboarding available. We had several turns down each run and it was so much fun! It was like being a kid again for a while, and even though I get snow at home (unlike many others) I loved every moment of it. We headed back down the mountain later in the afternoon, and had a snooze on the way. Dinner was at camp, then we had another party night onsite. However, only around a dozen of group made it (not including myself) because a nasty stomach bug ripped through the group. Hopefully things take a better turn for them all in the morning!